Making your own perfume is a relatively cheap, fun and fulfilling hobby. It’s also a great way to develop your own personal ‘signature scent’ that people really associate with you. You don’t need to have any special skills to make your own fragrance; you just need a nose for what smells good. A basic perfume recipe will consist of alcohol, essential or fragrance oils and distilled water. Water from the tap does not work anywhere near as well as distilled water so this detail does matter. You can buy special alcohol for making perfume, but a handy hint is that for a fraction of the price you can just use vodka. The simplest and cheapest way to make your own scent is using flowers and water. Pick some flowers and cover them in warm water, leaving them to soak overnight or for at least 8 hours. After they have soaked, put them in a pan and simmer on a very low heat until the liquid reduces. Voila! Fresh-smelling scent that will last up to a month. Other perfume recipes will call for fragranced oils or essential oils. 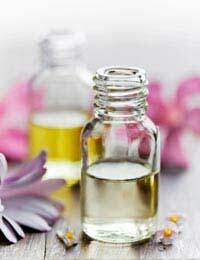 While essential oils are purer and more natural, fragrance oils still smell great and they are a lot cheaper. At least in the early days it’s recommended that you use the cheaper fragranced oils so that you can afford to experiment more. Essential oils and fragrance oils are very powerful and just one drop can change a scent dramatically. This is why these oils need to be added very gradually, one drop at a time. Drop them into your alcohol mix and smell until you have something you like. You then need to let the perfume steep for at least two days. After two days, add the distilled water and then leave the fragrance for another three weeks to mature. Check it again after this and it should be ready to wear. Try the following blends, adapting them to your own tastes. Always spot test the perfume on a small area of skin before wearing it. Look out in charity shops and discount stores for pretty bottles for perfume. Save old perfume bottles to store your home-made fragrances. Once you become experienced, you can begin to learn to make your own essential oils.